There are a bazillion reasons why most people favor summer in New York over any other season. (Just look at all the amazing things you can do!) Cinephiles, particularly, luck out with all the outdoor movie screenings across all five boroughs. And we have some good news for film buffs—more and more free flick announcements are rolling in. 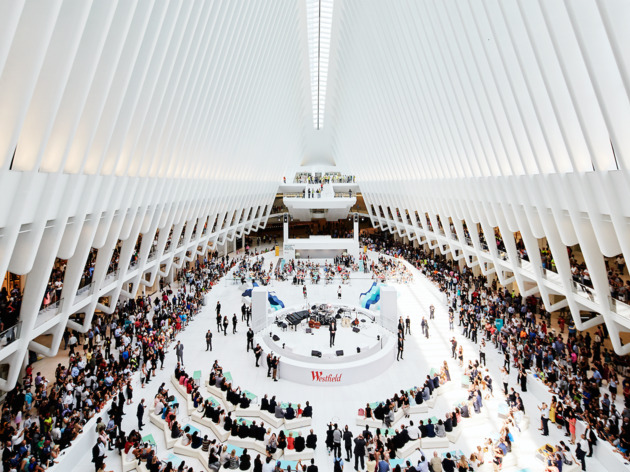 Here's another: Starting next month, Westfield World Trade Center is launching a movie series located outside the Oculus Plaza. The price? Nada. 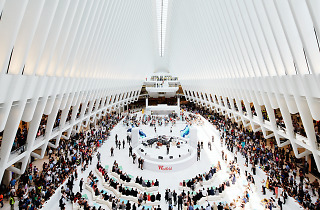 The films included in the program, dubbed “Tribeca Drive-In: Dinner and a Movie on Oculus Plaza," were selected by Tribeca Film Festival curators. Because everyone loves a good theme, the ten film selections are all set in New York City. No need to bring your own snacks—you can enjoy delicious meals for purchase from Lower Manhattan’s Eataly and wash the grub down with beer and wine from Beer Table and Pure Liquid while you watch. Make sure to get there early to reserve your spot and order food—people will start staking out their spot at 5pm. Check out the ace movie lineup below.